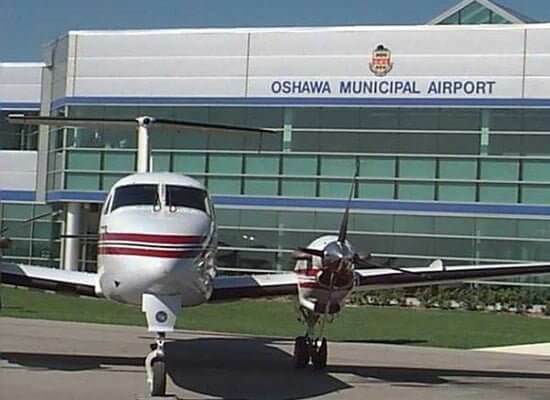 With Aerofly Toronto Limousines, forget all your worries about getting to and from the Oshawa airport. With our experienced and professional drivers, you will never have to worry about whether it’s a late night or early morning pickup because we guarantee the safest transfer. You just focus on preparing for your trip ahead and packing your luggage. When you choose us, just forget all the stress of airport transfer. Once you arrive in Oshawa, we ensure a worry-free ride. With years of experience in the industry, we have built a reputation of offering first-class services at most competitive rates. Moreover, we are your single source for all transportation needs, such as airport transfers, wedding day transportation, corporate travels, and rides for special events. Our team of professionals is reliable, punctual, and is committed to customer satisfaction. Our fleet of limousines is the portrait of contemporary luxury that arrives fully loaded with all amenities. If you’re on the lookout for the most trustworthy airport limousine service in Oshawa and beyond, your search ends here. Our well-trained chauffeurs will make your trip to and from the airport fun-filled and worry-free. Book your next airport limo to anywhere in Oshawa with Aerofly Toronto Limousines and experience a pleasant ride.